Hyundai Motor and its sister company Kia Motors saw record-high first-quarter SUV sales in the US, where sport utility vehicles and pickup trucks are dominant, industry data showed Sunday. 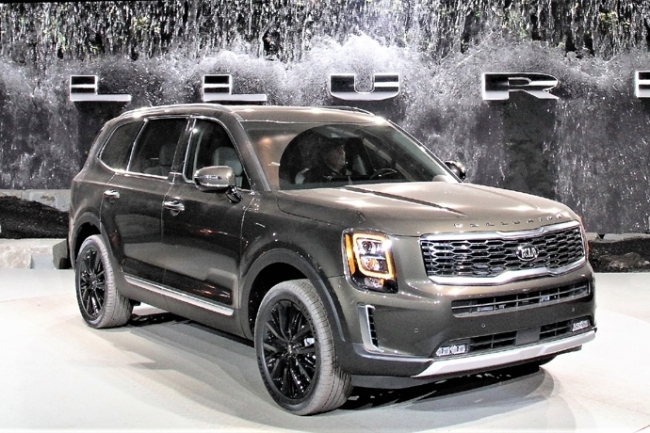 From January to March, Hyundai and Kia sold a total of 155,082 units of SUVs in the US, accounting for 8 percent of their total sales and marking the highest figure since 2011, when the combined figure for both companies was 10 percent. SUVs also made up 53.8 percent of total global sales of both companies, mainly driven by new big models, including the Santa Fe, Kona and Telluride. The proportion of sales made up of SUVs has been on a gradual rise from 30.9 percent in 2013. In recent years, US automotive sales have been stagnant, hurt by a weak economy and the rise of the used car dealership market. Boosting the Korean automakers were US consumers’ preferences shifting away from sedans and hatchbacks to larger SUVs and pickup trucks. The portion of SUVs out of Hyundai’s total US sales has risen to 45.2 percent in 2018 from 36.2 percent the previous year. SUVs made up 50.1 percent of Hyundai Motor’s total US sales in the first quarter, with sales of the top two models, the Santa Fe and Tucson, rising 3.4 percent and 0.5 percent respectively from a year ago. In March alone, a total of 10,929 new Santa Fe and 11,976 Tucson cars were sold in the US, making up 36.5 percent of the company’s monthly total sales. As a result, Hyundai’s SUVs accounted for 3.9 percent of total sales of SUVs in the US, recovering from the lowest 2.6 percent in 2013. The company expects SUV sales in the US to improve further with the launch of its new SUV Palisade in the American market in the second half of this year. For Kia Motors, its market share in the US automotive market inched up to 4.1 percent in the first quarter, improving from last year’s annual market share of 4 percent. Such growth was mainly driven by sales of its new large SUV Telluride that was launched earlier this year in the US. Just two month since its launch, a total of 5,395 units have been sold.